Hi everyone, here is the news from the front. These two last months, I developed the “Stealth” gameplay, ie everything related to infiltration with guards, and the demo to test all of this is finally ready. 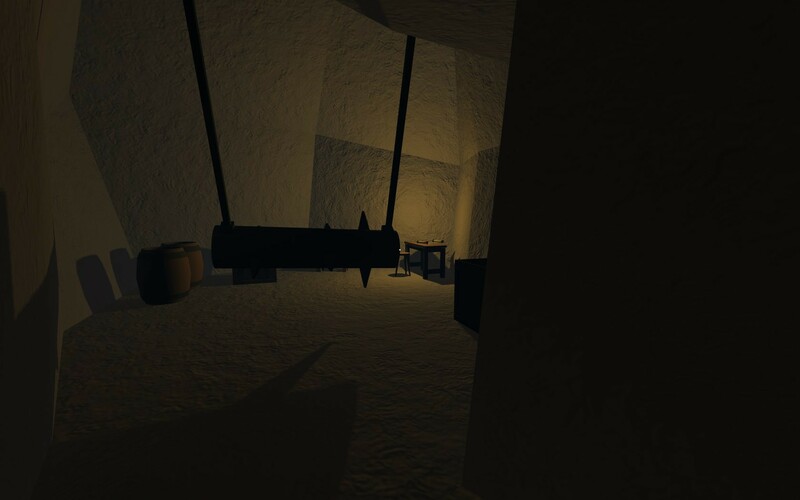 There are three test levels where the player has to find a mysterious artifact. He starts at the entrance of the dungeon and must find and access the secret underground part. It’s a mix of traps and guards to avoid, places to explore and clues to find. I look forward to seeing what you think about it. For this demo, I made a first version of the AI ​​system to manage the behavior and perception of NPCs. The guards react when they see / hear the player or anything suspicious, and chase the player to try to kill him. My system is largely inspired by the one implemented in the Dark Engine (Thief 1.2). For noise, I have implemented a system of footsteps: the sound and volume change depending on the surface, for example it is quieter to walk on carpet than on stone, and the moving speed. It is also useful for hearing the guards approaching. 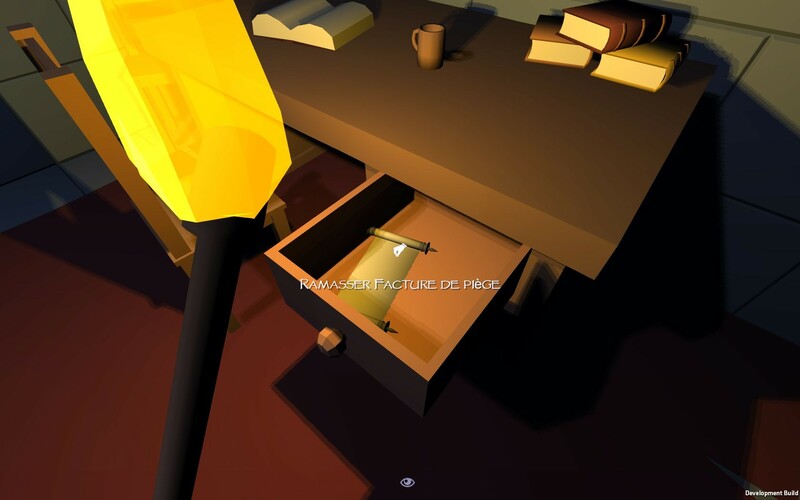 Objects collisions make noise that is detected by the guards: for example you can throw a rock to make a diversion. 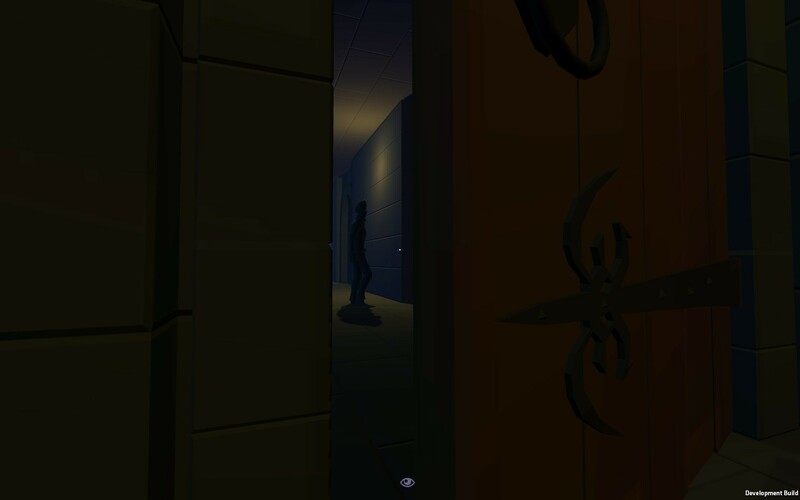 For the visibility, I implemented a player visibility system that takes into account the dynamic lighting of the scene. This is very generic and work in all configurations. 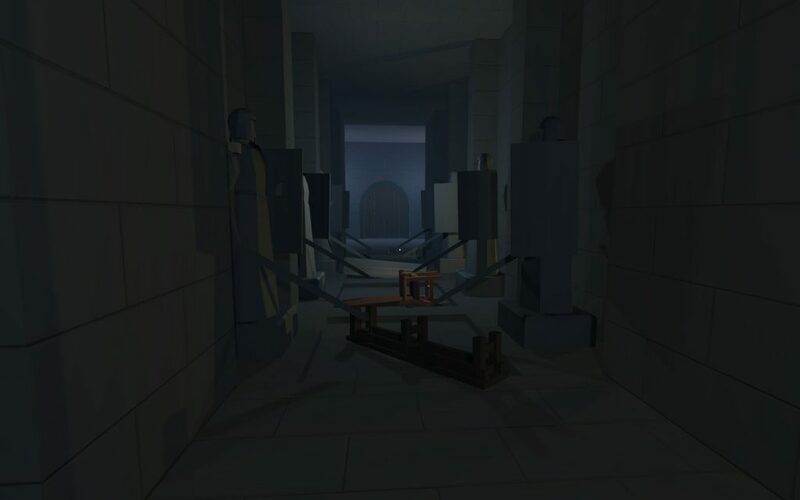 For example the player can pick up, move or unlit torches to decrease the light, the guards may carry torches to light near to them. My goal was to make it consistent with the physical interaction system of the player. 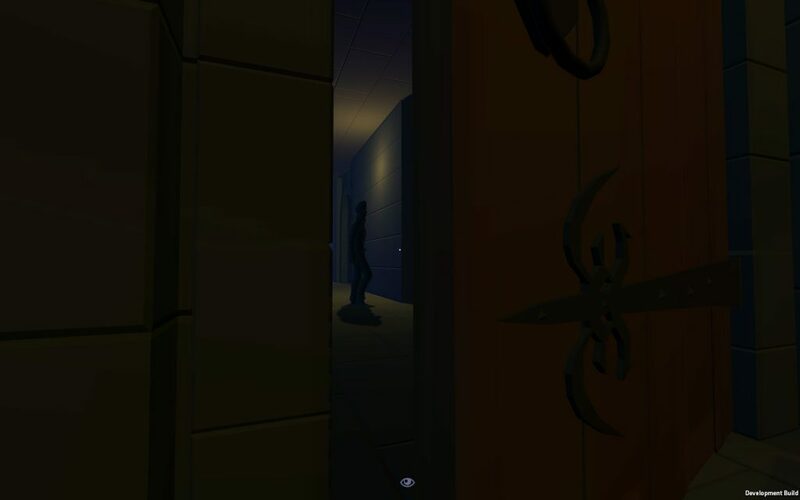 In my tests I even found myself moving a table to create a shaded area to observe a guard from the shadows. There are still a lot of work and testing to make it robust, but I think that it is already pretty fun. We’ll see what you think about it during the tests. In the near future I will improve the important issues that will rise during testing, and start the last demo: to be the minion of an evil dungeon master. On the menu : clean dead adventurer corpses in the trapped part of the dungeon – without dying, if possible -, recover their treasures and re activate the traps. At the end of this demo I will check whether the various parts of the experience of my game are fun and if they fit well together. Then I will make a big concept validation, code cleanup, and I will start to prepare the first alpha version of the game. I would also like to start making short videos every month in which I will play the demos to show what I describe in these news.